Following the NSW and ACT State Championships last month, the Open Championships is shaping up to be a Bigger Event all-round! 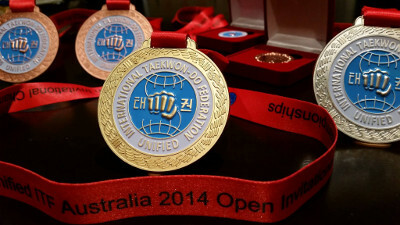 Miss Amanda Morrison and the Team at Australian Independent Taekwon-Do Academy on the Central Coast, NSW have upped the ante with a full weekend of events culminating in the Open Invitational Championships held all-day Sunday, August 10th. Master Dararith Nak, 8th Degree in Taekwon-Do will bring his experience to bear, hosting a comprehensive 2 hour Self-Defence Workshop on Saturday, August 9th at the same venue as the Tournament starting at 11am. Master Nak will then chair an Examination Panel for a Dan Testing (including an International Testing) that will begin at 2pm, continuing through to between 4pm and 5pm that afternoon.